- Features a curved edge to provide proper neck alignment whether you sleep on your back or on your side. 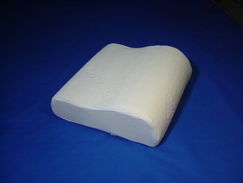 Lil-Tots Baby Pillow are molded out of a patented design to hold baby's head in place while asleep. The memory foam pillow gives your baby a better sleep as it reacts to the baby's body heat and molds itself to the shape of your baby's neck and head. 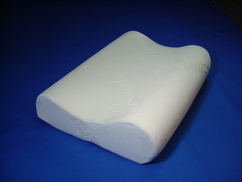 The featured patented indentation on the pillows helps to cradle the baby's head in place to provide proper support. Each pillow comes covered in a hypoallergenic luxurious 100% ultra soft terry cloth so your baby fells like its your skin. 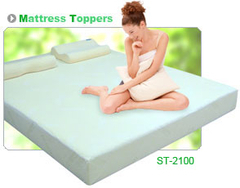 - The Memory Foam gently cradles your head, neck and shoulders. 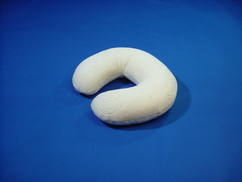 - Each Travel Pillow comes with a hypoallergenic luxurious 100% ultra soft removable terry cloth cover. 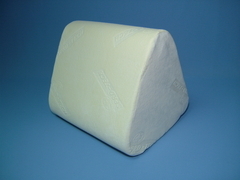 - Your perfect therapeutic car companion made of memory foam. - Specially curved to support your head and neck while you're driving. - Small and compact for easy transport and storage. 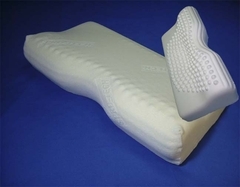 - The Bed Wedge memory foam is designed to support and reduce lower back pain and discomfort. 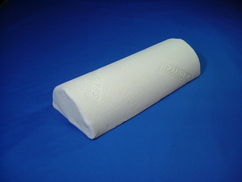 FlowVent System Mattress Toppers are made of pressure-relieving visco-elastic memory foam. Turn your existing mattress, futon, or any other sleep surface into the ultimate luxury sleep system. 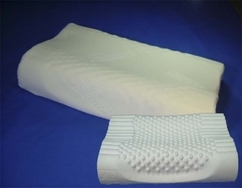 The FlowVent System allows air to circulate freely through air vents in the mattress and provides additional support and comfort, a patented design only available through Sprd-Tech . The FlowVent System Mattress Topper features our removable hypoallergenic ultra soft washable terry cloth cover. 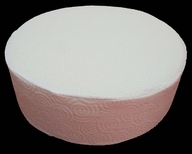 Our High Quality Round Memory Foam Mattress is 8” inch thick, it has the support base layer of 5 inches of high density foam core and 3 inches of 4 lbs density Visco Memory Foam, creating a medium firmness level with contouring support and cradling feel that naturally conforms to your body's weight and temperature. Memory foam is resistant to dust mites and is naturally antimicrobial. 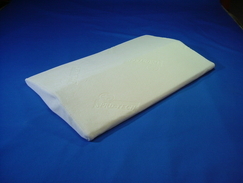 Allergen-resistant removable and washable cover with non-skid bottom. This mattress is Vacuum packed and ships in a rectangular box. Dimensions – Varies.